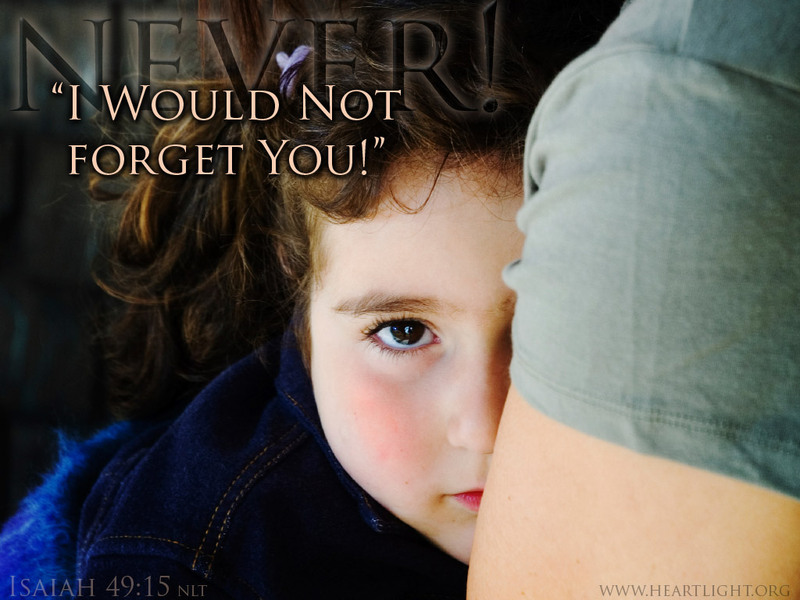 Description Heartlight Christian Powerpoint background of Isaiah 49:15 nlt -- Never! Can a mother forget her nursing child Can she feel no love for a child she has borne? But even if that were possible, I would not forget you!